The Arts, Crafts and Music Festival, 11am-5pm, with events going on throughout the downtown area, including food vendors, beer garden, live music, kids games & inflatables, street entertainers and more. Also, a Food Fest between 11am-8pm, along Washington Street. 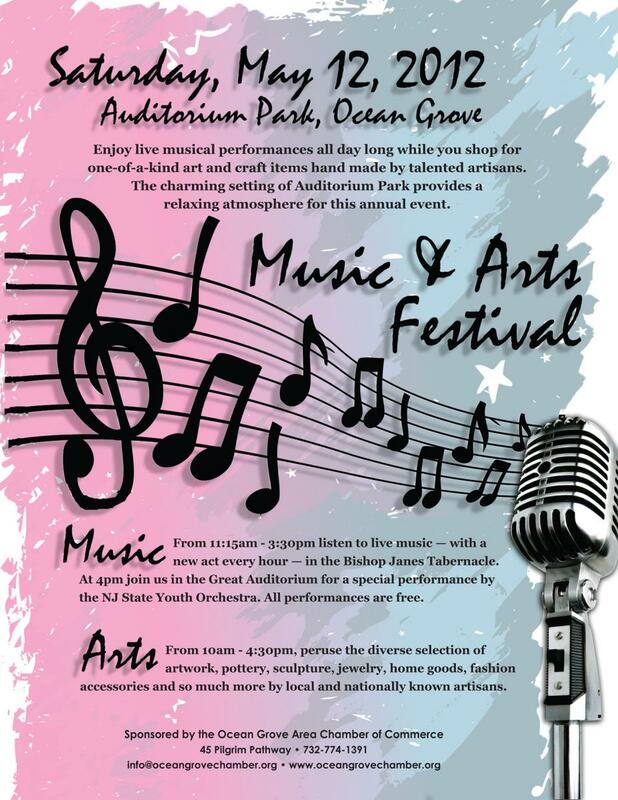 If you’re around Ocean Grove, don’t miss their Music and Arts Festival, in the Auditorium Square Park & Bishop Janes Tabernacle between 10am-4:30pm. You can shop for original one-of-a-kind art and crafts while you enjoy live music all day long. In between these two, more festive food! Point Pleasant is also hosting on Saturday a Food and Wine Festival in the Riverfront Park, 1-8pm. You can taste the wines and enjoy the music and cooking demonstrations. If you’re more into cars than food and arts, Wildwood is hosting a big event. Thursday to Sunday runs the Annual East Coast Boardwalk Nationals Car Show. 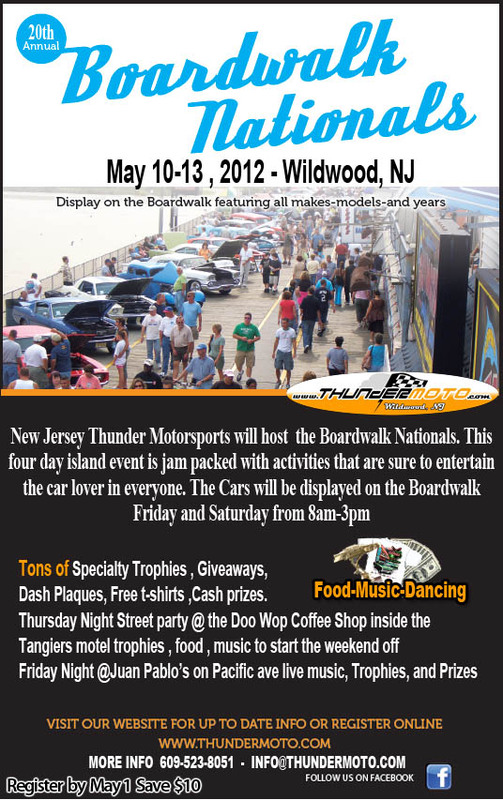 Cars will be displayed on the Wildwoods Boardwalk from 8am-3pm, Friday and Saturday. It’s open to all makes and models, including custom, imports, tuners, trucks, classics, street rods and modified. Trophy Classes include Top 40, Ladies Choice, Best Engine, Best Paint, Best of Show, Hi/Low Competition, Most Likely to Get Pulled Over, Club Participation Award, Lowest Car and Top Gun. There’s also a Thursday Night street party.